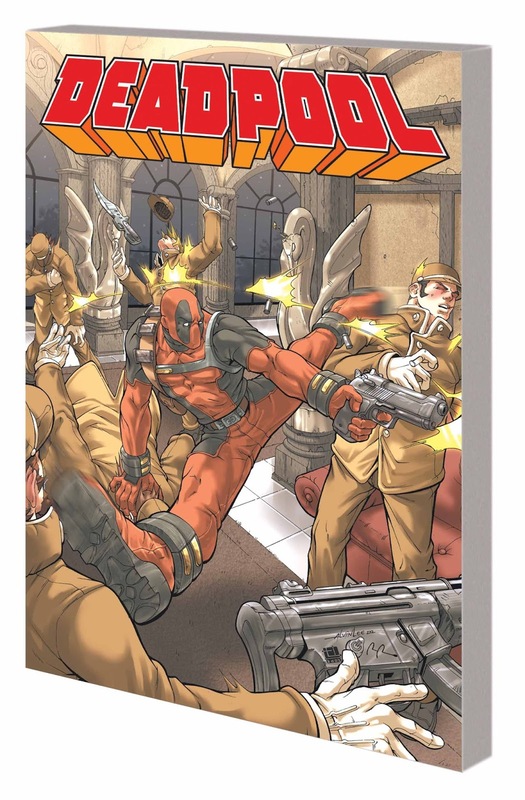 It was announced in the November 2013 solicits that came out today that Deadpool Classic Volume 9 comes out 12/18/13. Writer Gail Simone (Birds of Prey, Batgirl) takes on Marvel’s Merc With a Mouth! When Deadpool crosses paths with the Black Swan, the telepathic villain infects Wade with a virus that eats away at his mind. Can Deadpool overcome his degenerating thought processes and continue his merc work? Not likely! The madness continues as Deadpool must steal the Rhino’s horn and play bodyguard to mutant songstress Dazzler. Along the way, he’ll get by with a little help from some new friends: Sandi Brandenberg, Ratbag, Outlaw and the Taskmaster. But when a showdown with the Black Swan goes wrong, who — if anyone — will survive? And in the aftermath: Meet Agent X! He appears on Sandi’s doorstep, an amnesiac blank slate with healing powers, uncanny fighting skills and a burning desire to be a mercenary. Is he a deeply damaged Deadpool? And if not, who or what is he? Collecting DEADPOOL (1997) #65-69 and AGENT X #1-6.